Action and adventure photography is something that I have always loved doing. The thing about this kind of photography is that you must become a part of the adventure and cannot simply tag along. Being a participant gives close access to the events and the action, but also an intimate relationship with the other participants. 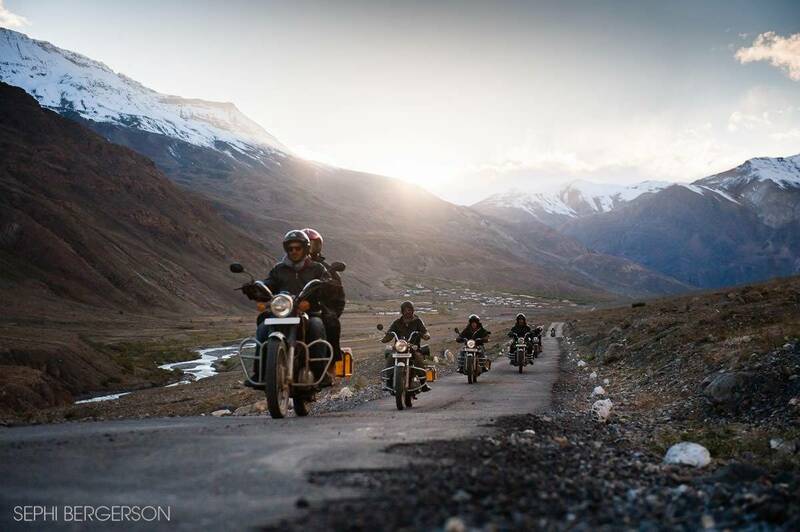 I’ve been commissioned to shoot a motorcycle tour in the Himalaya for a travel company that organizes rides on the legendary vintage-looking Royal Enfield bikes. The basic idea was to capture the romance of motorcycle riding in the Himalayas, the mist, the elements, the beauty, and the challenges it provides as a place to ride motorcycles. Guided by Moksha, the first woman professional bike rider in India, we left from Manali with a group of enthusiastic bikers ready for adventure, heading towards Rohtang pass on the way to Lahaul and Spiti valley. The barren landscape and sparse vegetation in this dry and cold desert is surrounded by high mountains on all sides and is a magnificent backdrop for shooting a motorcycle ride. Before going on an adventure it is advised to make a good plan for the equipment you carry and the strategy for shooting. A mental picture of the kind of images you want to shoot will help you decide which equipment you want to take with you, and how you are going to shoot. Determining the hazards, both to yourself and your gear is essential. Like in almost any other assignment, adventure photography is about telling the story of the adventure. The start of the day, the difficulties, the road, the high points and the emotions. The deeper you go into the adventure, the closer and more intimate you will become with the other participants, which will result in better and more compelling images.